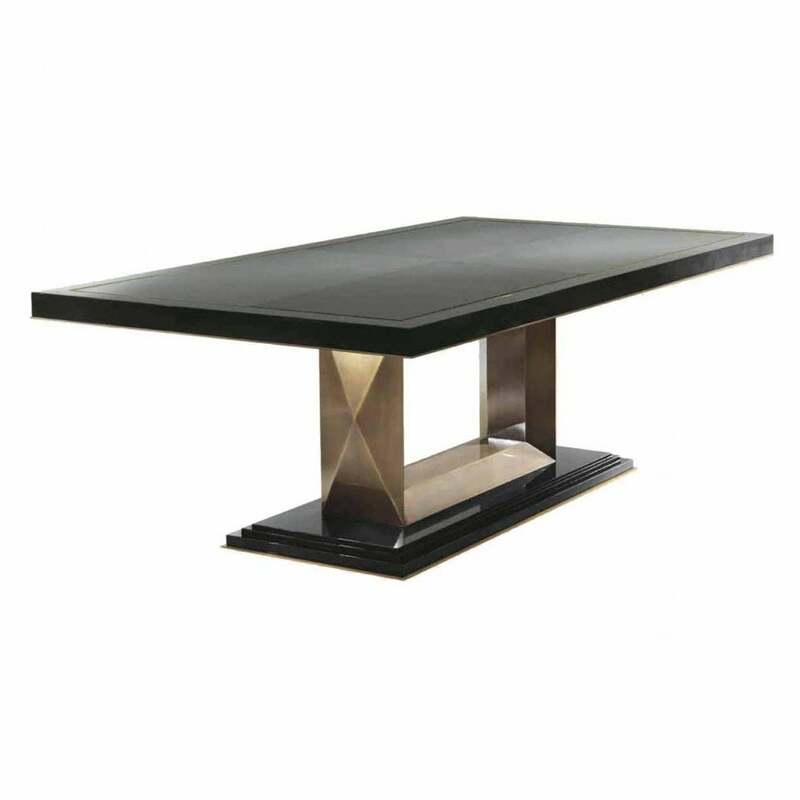 The Dining table III showcases a cross pattern within the brushed bronze-finished leg and a base with layered plinth slabs. This striking combination works well when softened with luxurious fabric featured in the Bronze Dining Chair IV. The Art Deco inspired design looks beautiful paired with dark wood floors, pendant lighting and elegant geometric wallpaper. See our range of pendant lights from master lighting makers Heathfield & Co. Created by some of the most skilled craftsmen in Italy from the renown Brianza region, the dining table comes in a choice of finishes with stunning top details. It is part of the fuller range of the Bronze Collection of furniture by Orsi.